Celebrate this game and help us grow our community! If you have any questions, please send me an e-mail! All are welcome to come and play! *Please ask your opponent if they will allow you to use the War Room App. If they refuse, please respect their wishes and use your cards. I am fully aware of what is written in SR2013 on page 1, with great respect what I would like you to do is read what is on page 10. *As a time saving measure, we will use WER to handle all of our pairings and build our standings. 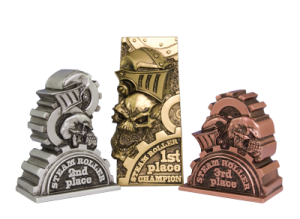 We’re interested only in Match Wins and will use standard Steamroller Tiebreakers only to determine a Match Winner if its ever in doubt. To build our standings, WER will use Match Wins and then Strength Of Schedule as a Tiebreaker. *For the First Round Of Play Only, we will do our best to make sure you won’t get paired up against a family member or someone that you travelled here with provided both of you travelled here from a city/town other than Edmonton or one of its neighboring communities. Please note: after the first round, we will follow the documentation that PP has set out for us. We do this as a service to our players, some of which travel several hours to play here. *Special thanks to Darrell D for suggesting this great idea! We will have a vote for Best Painted Army at the start of the event! All players are welcome to introduce themselves and meet all of the other players then vote for the person who they think has the best painted army. *If we have an odd number of players, we will be awarding a bye each round to the lowest ranked player (Round One, the Bye will be awarded at random). Players who receive the Bye will get a Match Win and a Vote For Best Sportsman. *Please bring THREE copies of your list: give one to me (the TO), show one to your opponent, and keep one for yourself. *Each player will have SIXTY minutes to take their turns. *If a player’s clock runs out that player loses the game. 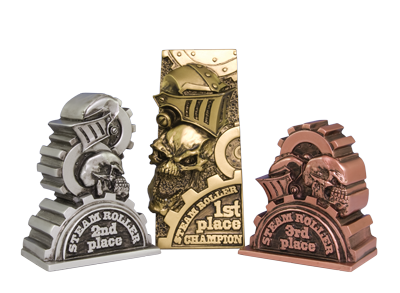 *As mentioned above (in House Rules), we will not record any Steamroller Tiebreakers (Assassination, Control Points, Survival and Attrition). We’re only interested Match Wins. *We’re looking for Volunteer Judges to help officiate our event! If you’d like to volunteer, please send me an email! *ALTERED BASELINE: If there is no clear winner a the end of the tournament, we will use the Strength Of Schedule Tiebreaker. *Please remember to bring your models, stats cards, dice, measuring device, tokens, markers, and templates. You may add your comment at any time with the help of the form at the page bottom. An error occured while saving your comment! You need to log in to post your own comments.